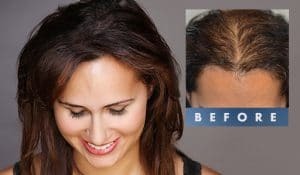 It may seem like there are few options for women who are losing their hair. After all, not every girl can pull off a short hairstyle. The situation is not so hopeless, however. Even if wigs, special shampoos, and surgeries haven’t done the job, Scalp MicroPigmentation isn’t short hair specific! Patients can choose how to fill out their visible scalp.